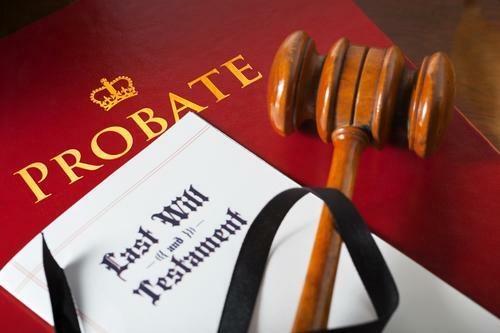 What Is The Difference Between A Trust And A Probate Estate? In the state of California, the estate of a decedent will normally be managed and distributed by either a Trust or a court supervised probate process. One exception is that if the net value of the estate is less than $150,000 (in personal property), the administrator may choose to bypass both and simply pay the debts of the estate and distribute the remaining assets to the heirs. For real property valued at less than $150,000 there is an expedited probate procedure to distribute the real property to the Decedent’s heirs. An individual with an estate valued at $1,000,000 or more, would probably be best served creating a Trust for those assets. Creating and funding a Trust usually requires seeking counsel from a competent Estate Planning attorney, who will review the Estate, and prepare instructions for the eventual distribution of the Trust Estate upon the death of the Trustor (i.e. the person who creates the Trust). Although there is a cost in creating a Trust, the creation of the Trust will likely save substantial time, costs and legal fees (as compared to Court supervised probate administration). Creating a Trust also means that the disposition of your Estate will likely satisfy your wishes (out of the public eye). On the other hand, a probate administration is filed with the Court, is overseen by a Judge, and is subject to public scrutiny. A probate administration often requires much more time and expense, both of which can be avoided by creation of a Trust. As always, we suggest you seek the advice of an competent Estate Planning attorney to choose the best path to accomplish your post-death desires. For additional information, visit Advance Inheritance, LLC.